When I’m stressed, I go for comfort food, which usually means fast food. 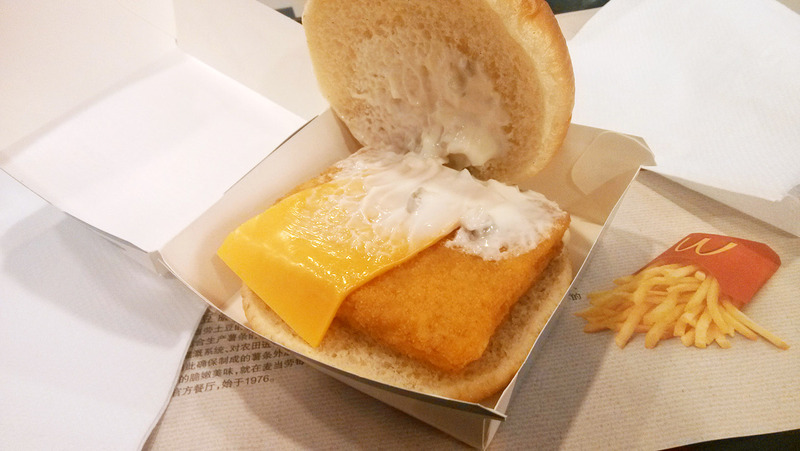 While I’m normally not a big fan of McDonald’s, I do like their fish burgers. Even when they only use half a slice of cheese. Wait, what? I could’ve sworn the Filet-o-Fish used to have a full slice of American cheese, but according to the internet, the half slice is a thing and has been for a while. Huh. Oh well, it’s still tasty. Or rather, it hits the spot. Although more cheese would’ve made it better. ‘Cause cheese makes everything better.